Gartner's Hype Cycle shows apps are on pace to reach early mainstream adoption in Africa within two years. Research and advisory firm Gartner has identified the four technologies that will have transformational impact within Africa's ICT market over the next two years. Based on its 2018 Hype Cycle report, Gartner says apps, cloud office, online data compression and public cloud storage will have significant business impact for ICT on the continent. The firm says its Hype Cycle provides a graphic representation of the maturity and adoption of technologies and applications, and how they are potentially relevant to solving real business problems and exploiting new opportunities. It identifies 29 key technologies and describes how they will impact business performance in Africa during the next 10 years. "Africa is entering an important stage in growing maturity, with nine technologies entering the Slope of Enlightenment and climbing toward the Plateau of Productivity," says William Hahn, principal research analyst at Gartner. "Mobile money and 3D printing service bureaus have this year entered the Plateau of Productivity." Public cloud storage, says Gartner, will be the only technology among the four to attain mature mainstream, reaching more than 50% of its target audience in Africa. The research notes CIOs should utilise public cloud storage services when deploying applications in public cloud infrastructure-as-a-service environments, particularly those workloads focused on analytics. "They should also match workload characteristics and cost requirements to a provider with suited services." The Gartner research further states the cloud office innovation profile has advanced quickly along the Hype Cycle as adoption has grown and the technologies have become well-understood. Progress is steady, with approximately 30% to 40% of organisations having made the move globally, the firm says. "Businesses are making the move to cloud office because of the desire to reduce costs, redeploy IT staff, drive simplicity and provide more functionality to users," says Hahn. "The wide scope of cloud office workloads, especially e-mail, means this technology will potentially affect everyone in the organisation. While its adoption rate is below 45% globally, many organisations have made a plan to adopt. Those that haven't will find it increasingly difficult to avoid in the longer term." 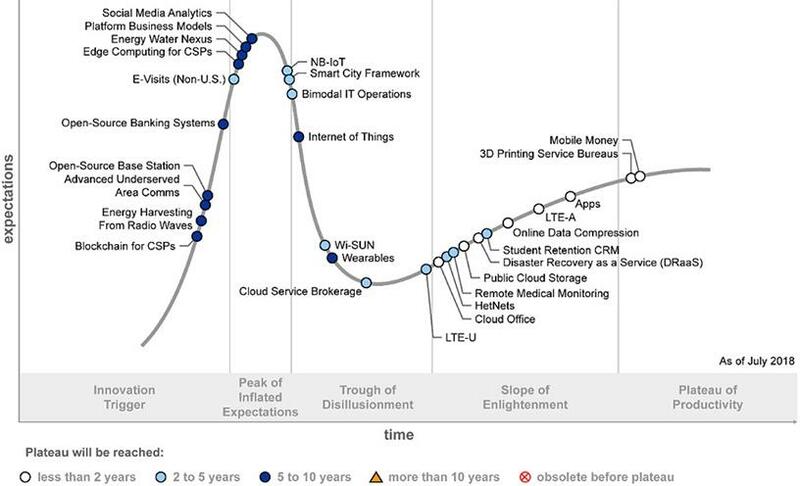 Gartner's Hype Cycle analyses the maturity and adoption of emerging technology solutions. 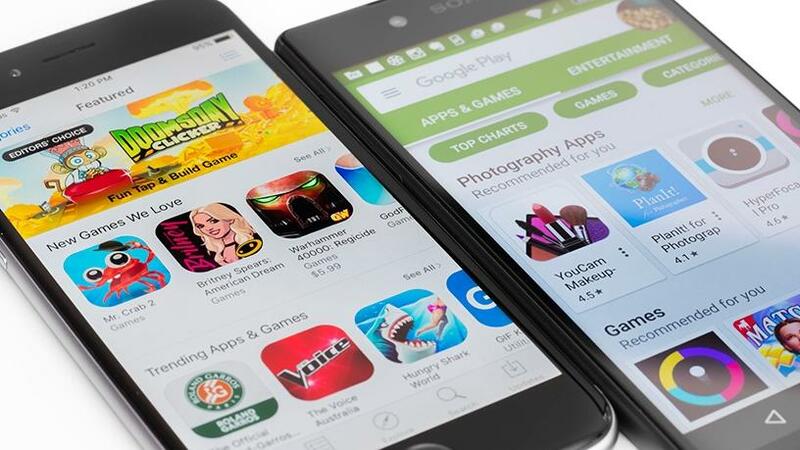 According to Gartner, apps are on pace to reach early mainstream adoption in Africa within two years. Their development and use are being driven by mobile apps, better Web app design and the rise of purposeful, wearable and immersive chatbots and voice apps. "Purposeful apps lower the costs of projects, allowing business units to pay for them out of their own operational budgets," Hahn notes. "Lower functional requirements also mean that more of the app project is instructed at the start of the user experience (UX) design work. Consequently, apps can vastly improve the bad state of UX across the enterprise application portfolio." Number four on the Hype Cycle graph is online data compression. This technology encodes data using mathematical algorithms to reduce the number of bits needed to store an object, and decodes the data when it is retrieved, Gartner explains. Since the early 2000s, compression has been used in backup appliances. In the last five years, compression has entered the primary storage market and is on pace to reach mature mainstream in Africa in less than two years, says the report. "The positive impact of high data compression ratios, on top of the need for additional storage purchases, operations, facility requirements and environmental costs, has changed the design of primary storage infrastructures, as well as backup/restore and archiving solutions," according to Hahn. "SSAs (solid-state arrays) are able to use online data compression and data duplication, allowing them to compete on price with traditional hard-disk drive-based and hybrid storage systems."